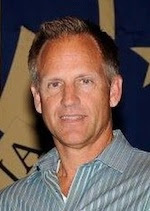 IDW Games has announced that gaming industry veteran Kurt Nelson will be joining as Sales Manager. Kurt’s primary role will be sales management for IDW Games as well as for mass-market initiatives such as IDW’s Micro-Comic Fun Pack brand. We are very excited to have Kurt join our growing team at IDW. Having previously worked with Kurt, he has a strong understanding of the gaming and collectibles category and will be a significant asset to our growth and stability. I’m very excited to be part of the IDW team and having the opportunity to help build a gaming division that becomes a positive force in the industry. I’m especially looking forward to working closely again with Jerry and Ted Adams. They both played such a big part in my initial experience when I started in this industry 15 years ago.